In 2012, the first volume of Holli Hoxxx rocked our world with a compelling story of an Earth without gravity. (Read our Review of Volume One.) Workers constructing new machines to restore gravity accidentally dug up the body of protagonist Holli, who suddenly came to life and wandered off. Volume One revealed her as an android, a former spokesmodel for the company selling gravity boots that keep people from floating off into space. But, the events leading to her entombment, and the motivations of the twisted characters she met, remained mysterious. 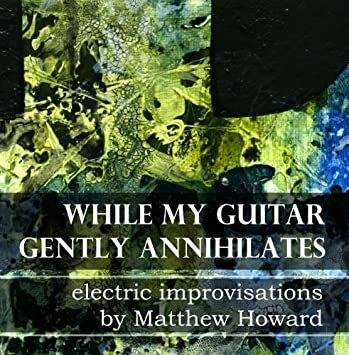 Volume Two arrived recently to both carry the story forward and open a window into the strange chain of events that created this world without gravity. Authors Austin and Adam Tinius turn the tables on the reader by showing unexpected facets of the characters’ pasts. The gruff and seemingly evil business tycoon of Volume One becomes a sympathetic character as we come to understand his complete role in events. On the other hand, the man Holli holds dear to her heart stands revealed as the source of everyone’s problems, despite his good intentions. These “reveals” do more than provide a gripping story. They remind us how easy it is to judge people based on limited information and incomplete knowledge. How differently might we see people if we took the time to understand what brought them to their present state? If the old saw about walking a mile in a man’s shoes is true, then Holli Hoxx asks us to walk a mile in their gravity boots, too. Stefano Cardoselli impressed us with his creative use of ink and watercolors in the art of Volume One. Ignacio Vega steps up in Volume Two with a similar approach, pushing the envelope of what we expect from comic book art in his own unique style of inks and color washes. This volume also features a cover by Glenn Fabry, the artist who gave us such memorable covers to Preacher. We did get a little confused about the identity of two of the female characters. Like Vertigo’s 100 Bullets, Holli Hoxxx relies almost entirely on dialogue instead of captions. This requires a bit more attention and deduction on the reader’s part than your standard comic book fare, but therein lies part of this book’s appeal. And, when the captions do arrive in the second part of the story, their earlier absence makes them all the more powerful and poetic. Austin of Bogus Books tells us Volume Three will come out in Spring of 2014, and we greatly look forward to the next chapter in this thought-provoking story. We recommend heading over to the Bogus Books website to purchase the first two volumes now. If you need a unique holiday gift for the comic book lover in your life, pick them up a copy, too! 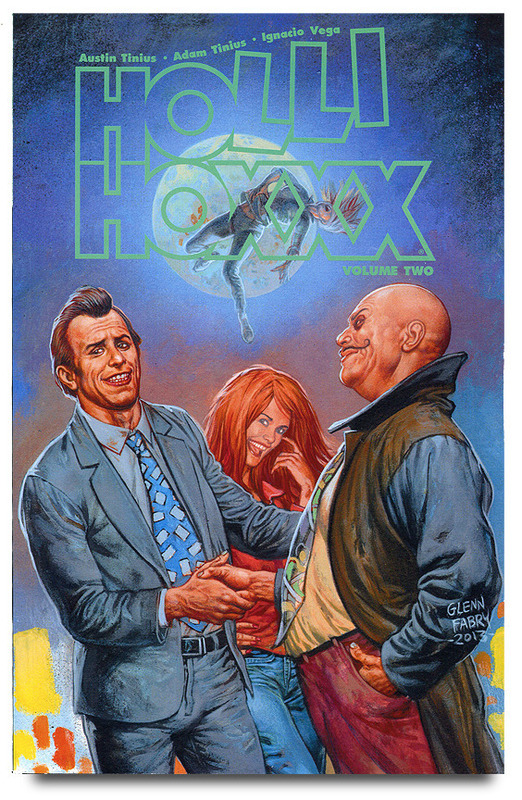 Now in print as the Holli Hoxxx Omnibus from Bogus Books.